Adding your business to Google Maps is one of the important steps to do, when you are trying to establish and marketing your business online too. May that be any kind of business, location or service that you have offline, having that online would not just help promote it but would be helpful for people in finding what they want in their own locality. The Hospitals, clinics and health care are important for everyone, and same is the case with Fuel stations, railway stations etc. 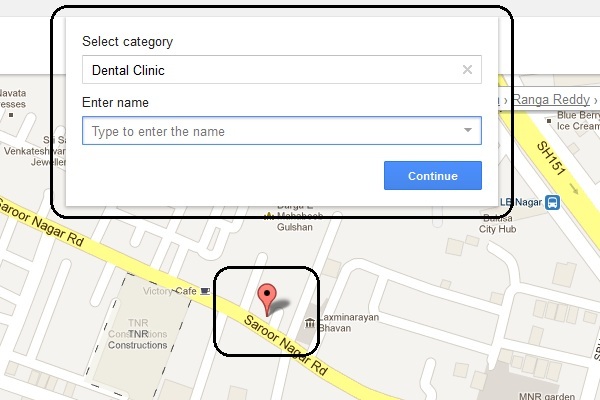 Go to Google Map Maker, and there you need to wait for the maps to locate you, where you can add the business directly or else you may search for the locality where the business can be added. Go to “ADD NEW” just above the map, and a dropdown would appear in which you may select from the options – Add a Place, Add Roads, Rivers, Railways, Add Building Outlines and Add Natural features and Political boundaries. 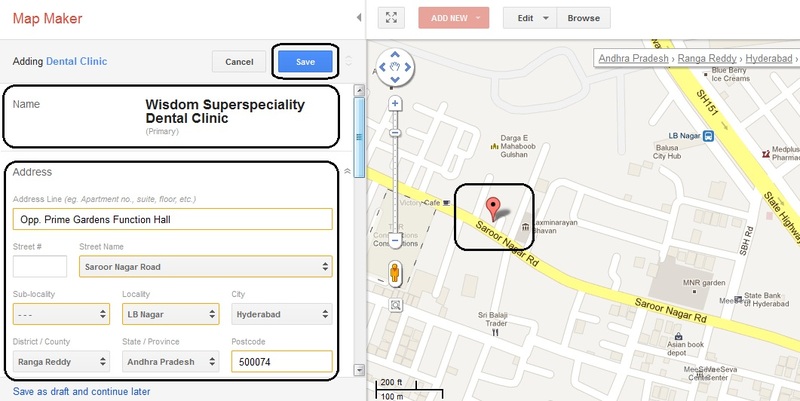 Select the option you want to add, like “Add a Place” if any restaurant, school, hospital etc. The map would show you a marker which you can use to select the exact place where you wanted to add a location or business of yours. The map would have the adjacent boundaries, roads and buildings for you to get a better idea of what place you exactly are selecting. Once the place is selected, you may select the category, and enter the name of the place, i.e. the name of the business, school, hospital etc. Hit Continue after entering the details. Once the basic details are entered, you may enter the other details like Address, the phone number, website, timings and a few other details based on the business. For example, if it is a hospital or a clinic, you may add the particular timings of the clinic and the description about the services offered. After entering everything, you can save and the Google Map Maker would search for the duplicates of the same. If any of them are found, you will be notified about the same and if its the old one you want to select, there is a pop-up notification that appears – Your current edit will be discarded. Your changes will be applied to the selected duplicate and presented again for confirmation. If you are sure that this is the first time you are adding the business to Google maps, select the option “This is not a duplicate”. Once either of the options are selected based on your information and confirmation whether it is a totally new submission or a duplicate one, your business will be added and sent for approval. It wouldn’t take much time for the approval, and sometimes a confirmation through the phone number and email address that you have set while adding the location. 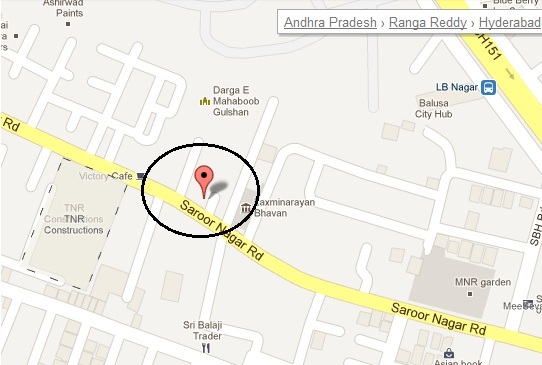 After the approval, below is how the location appears on the Google Map. Google Maps even lists the business through the Google Local service which is purely for the businesses to add their place of functioning, and this helps in listing the results in the Google search engine, making it easier for people to find stuff locally.